Birds of a feather by A. Blackham 1902. 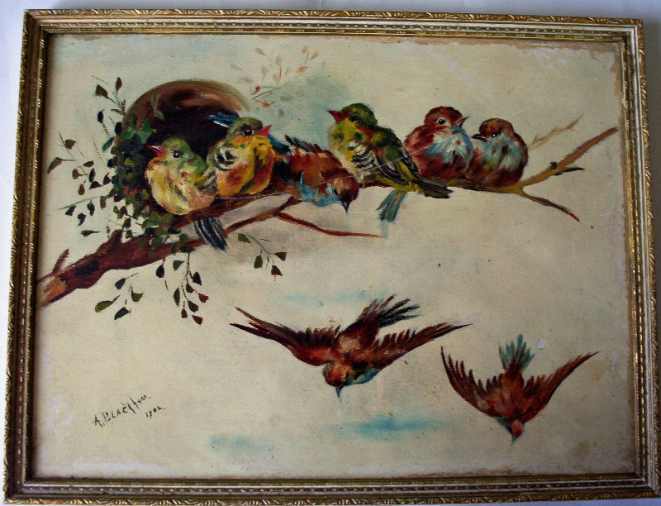 Birds of a feather, oil painting on board by Arthur Blackham dated 1902. SOLD 29.02.2016. Oil painting on board, signed by the artist and dated 1902. Dimensions : 320mm x 246mm x 15mm. Weight : 0.450kg net. Condition : Quite good. 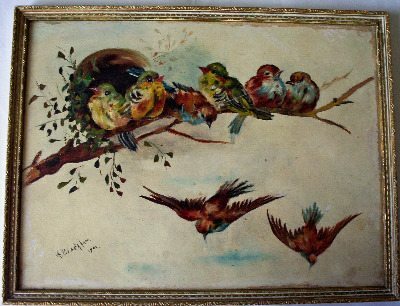 Birds of a feather, oil painting on board, signed by A. Blackham (Arthur Blackham), dated 1902. Dimensions : 320mm x 246mm x 15mm. The oil painting is executed on board and lightly varnished. The colours are good. 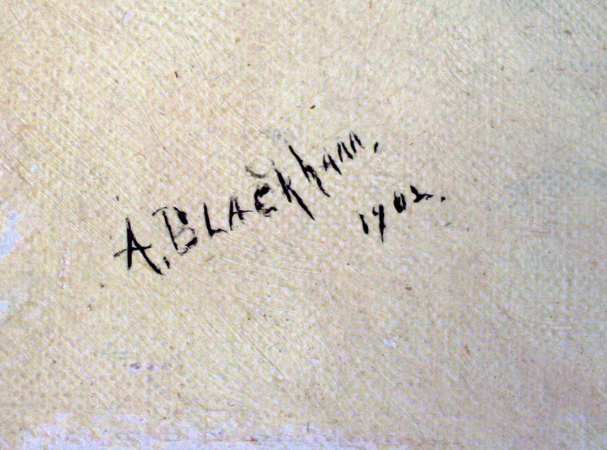 The painting is signed towards the lh corner with the date 1902 below. The general condition is quite good although there is a light scratch mark running for 80mm across the seated birds from the lower body of the lh bird to the upper head of the rh bird. From a normal viewing distance this is not particularly noticeable. There is some wear to the oil paint along the edges of the frame towards the top rh corner and down the rh edge. There is some wear to the gilt face of the frame, however, the frame is otherwise in quite good sound condition. 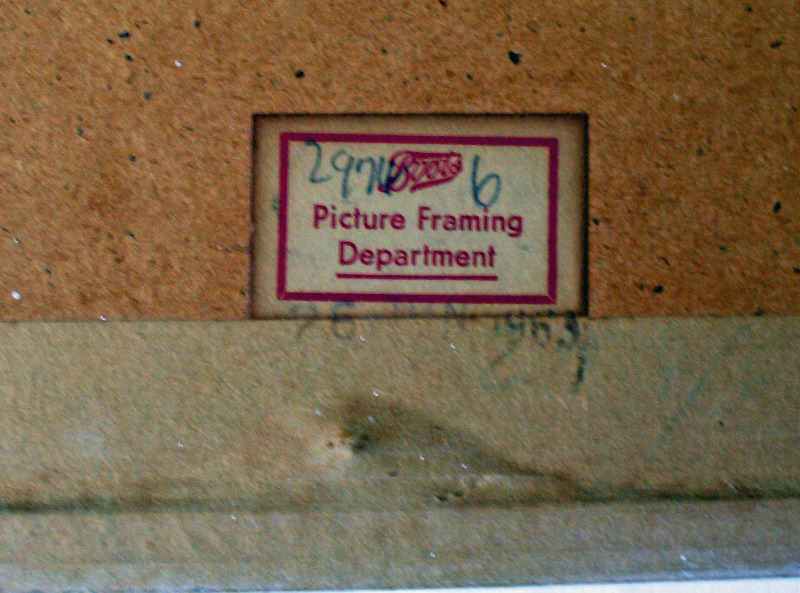 The back of the frame is covered with a board secured by pins and sealed with framing tape. 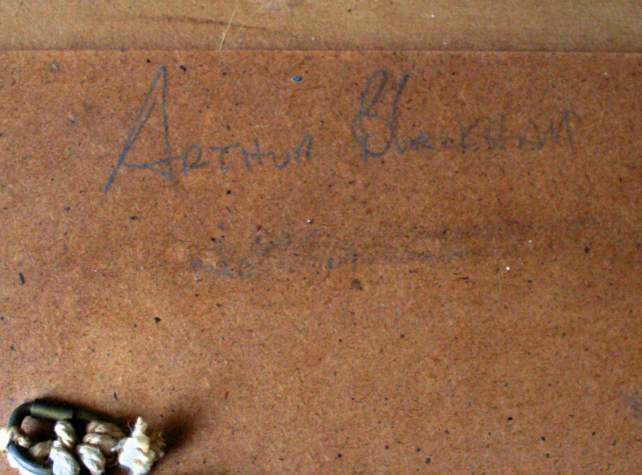 Towards the top lh corner is written in light pencil "Arthur Blackham". Towards the lower centre is a Boots Framing Dept label with nr 2974 6 in pencil. Below the label is a date stamp "26 JUN 1963". 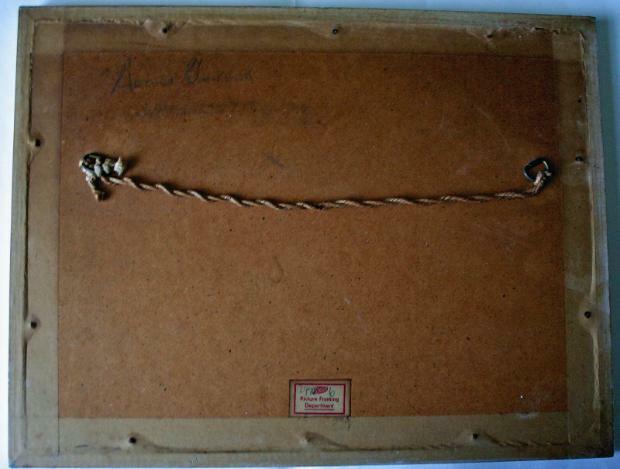 A hanging cord is attached. The backing does not appear to have been disturbed. Shipping Bands : UK : Free Delivery. Europe : £10.00. World : £15.00.